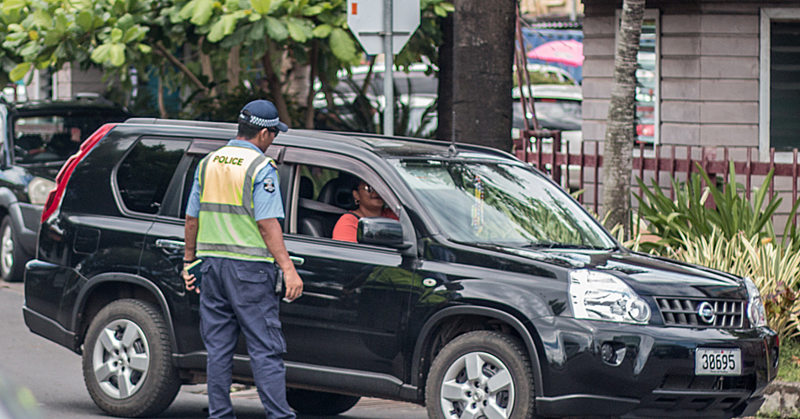 Welcome back to Samoa, Gaualofa! 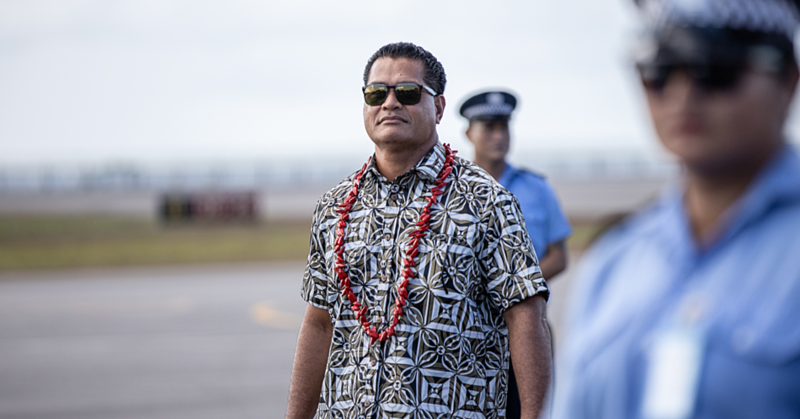 Samoa welcomed back the Gaualofa crew yesterday after five months of voyaging in New Zealand. 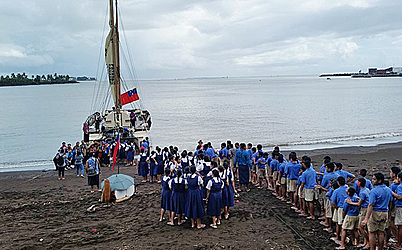 Families, friends and members of the Samoa Voyaging Society were joined by students and guests during the official welcome on the black sand beach at Vaisigano, opposite Sheraton Samoa Aggie Grey’s Hotel. The Aiga Folau o Samoa (Samoa Voyaging Society) took the Gaualofa to New Zealand to strengthen ties with Maori iwi and to participate in the 2018 Waka Odyssey Festival to celebrate the shared Pacific voyaging history. Aiga Folau President Schannel Fanene van Dijken said the time in New Zealand was important for Gaualofa. 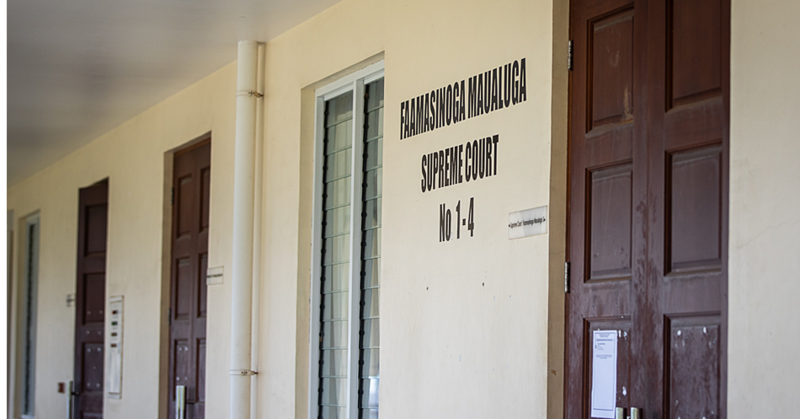 The Aiga Folau is a not-for-profit organisation but works not only to revive Samoa’s traditional sailing and navigation skills, but also past stewardship responsibilities that promoted sustainable land and ocean resource use among communities.